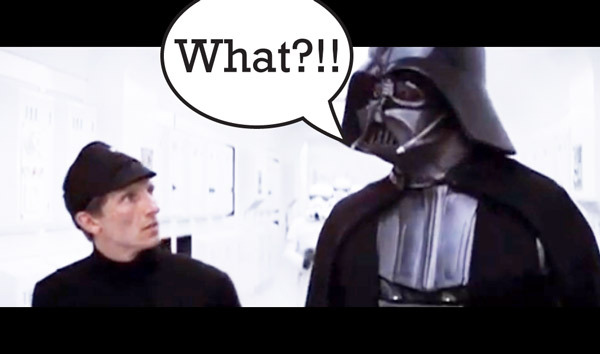 Maybe it’s the incessant paaah and whoosh of his respirator, or maybe his ear drums were permanently damaged when he tangled with Obi-Wan on Mustafar, but as this video shows, Darth Vader clearly needs a hearing aid. Still, I laughed out loud more than once during this stupid video. Enjoy!